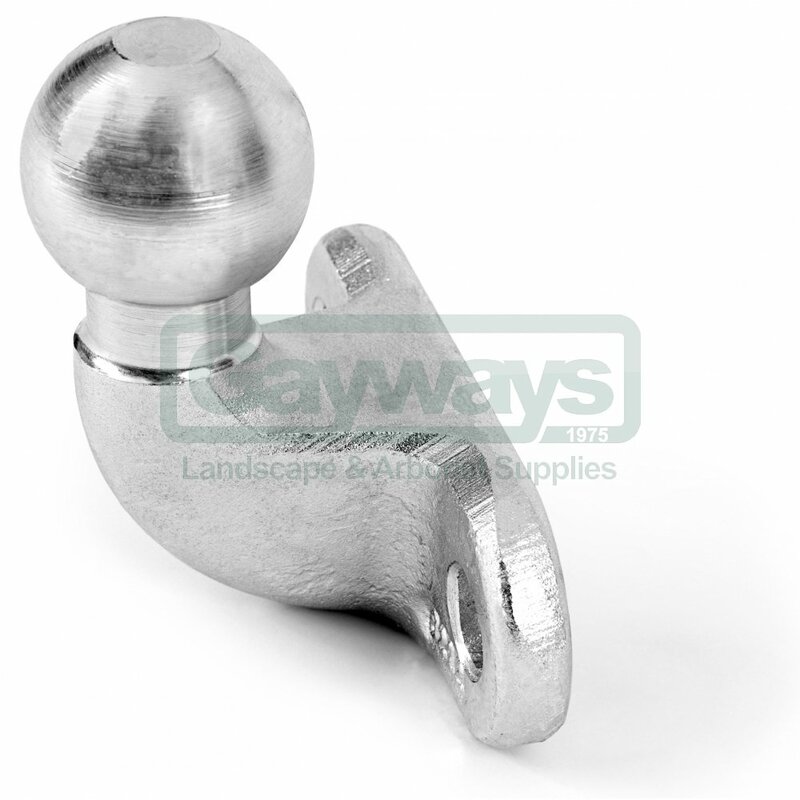 Trailer hook to be fitted to front mower P 520D or P 525D. Fits to the existing holes in the die cast rear chassis; hole diameter 16 mm, c-c distance 89 mm. Ball diameter 50 mm. Maximum tow weight 350 kg.